This is it. 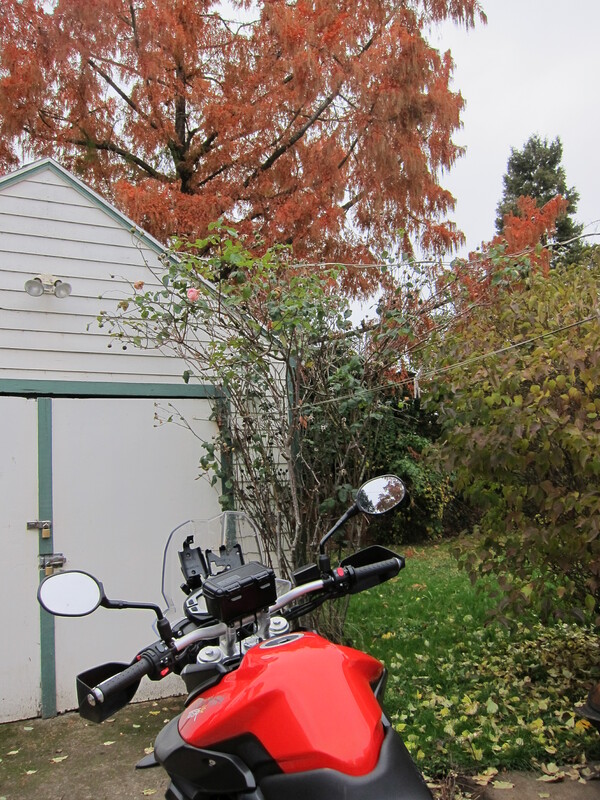 It is Sunday and it is not raining, so it should be good enough for a ride. Let’s take the Tiger out for a stretch. 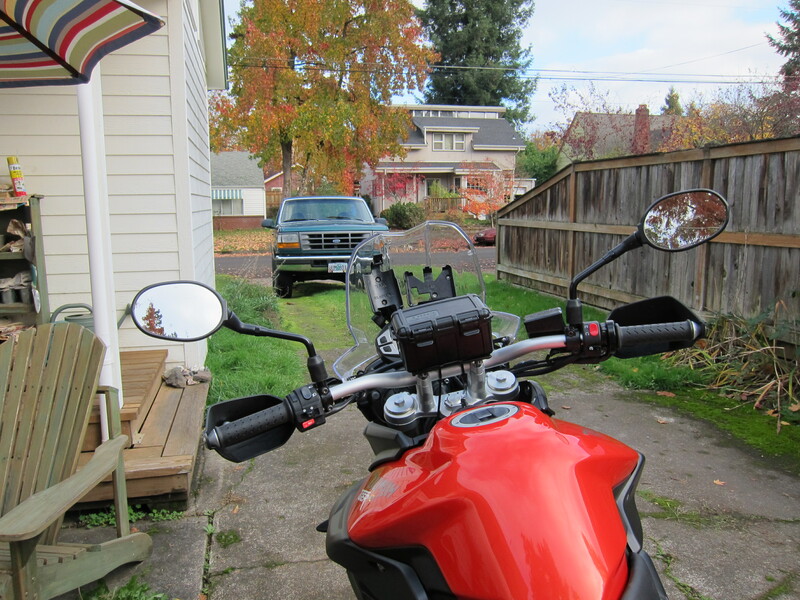 The idea is just to ride in the area, a couple of hours or so, going north on the Willamette valley. I stopped on the same vineyard I stopped last week when I took the Dakar on a similar ride. 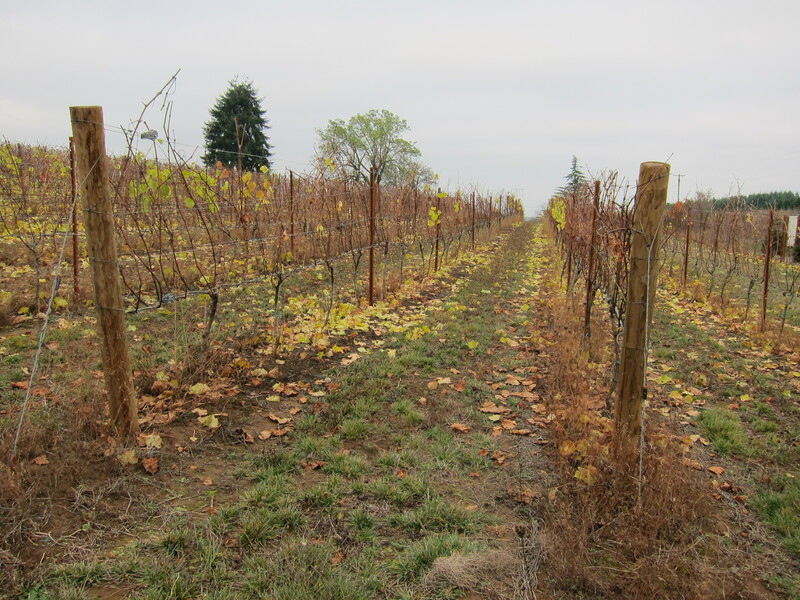 Notice the difference on one week – less color, less leafs. 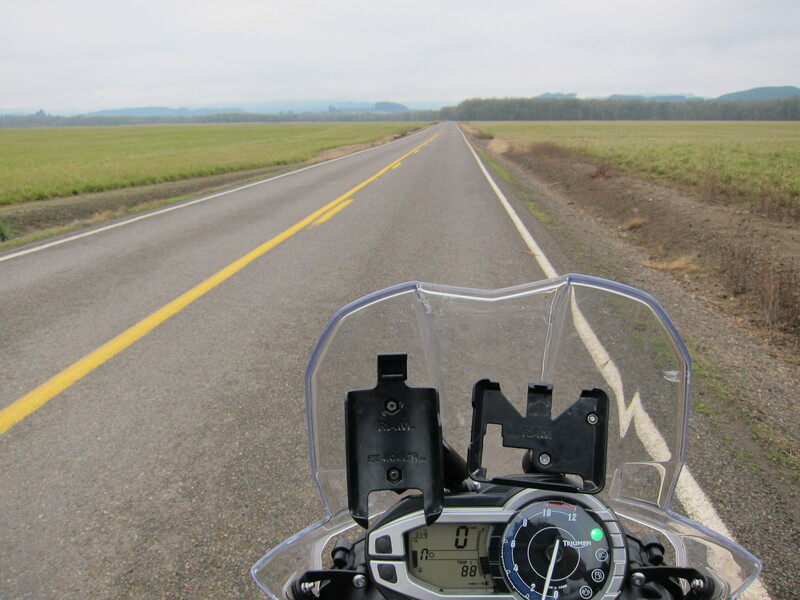 I continue the ride, went past Monroe and looped back south via Alpine. It was getting cold. This bike has no heated grips. A quick stop for a photo, it was wet everywhere out of the main roads. And that was it, about 70-80 miles later I was back home. It was nice to walk back inside the house and find it warm! 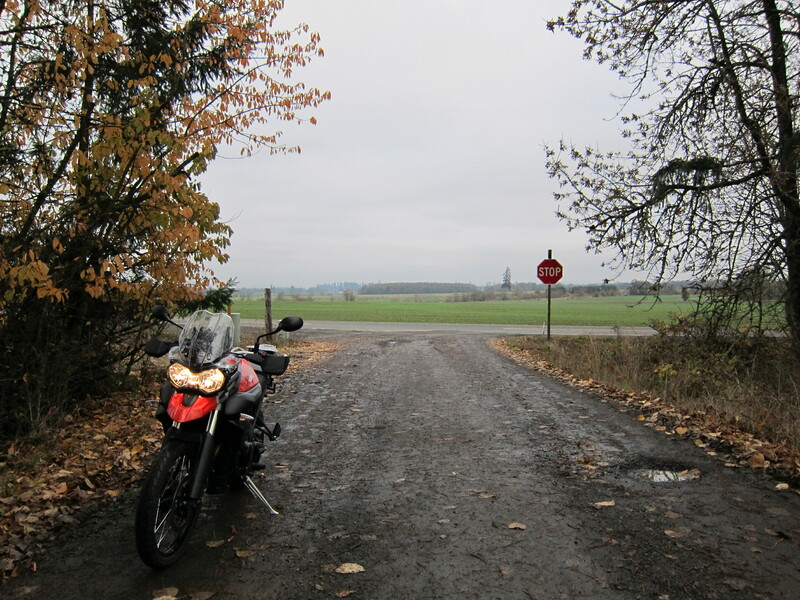 This entry was posted in Riding the Triumph and tagged 800XC, adventure riding, motorcycles, oregon, Tiger, Triumph. Bookmark the permalink.